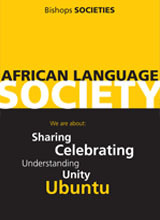 Sharing, celebrating, understanding Unity and UBUNTU is what the African Relations society stands for and promotes. The society’s mission is to engage with current affairs concerning Africa as a whole and in relation to the rest of world. The African Relations society, occasionally hosts events as well as guest speakers who are passionate about Africa. 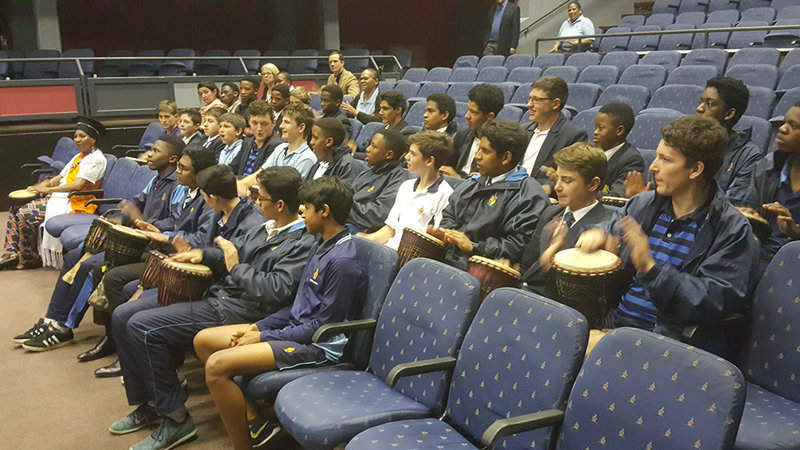 The aim of the guest speaker is to educate members of this society at Bishops about many African cultural practices, traditions, beliefs essentially cultural diversity in South Africa. In April 2017, the society was fortunate enough to host Mr Richard Khontyo – a former grounds Supervisor at Bishops who retired in March 2017 after 33 years of service to the school. Mr Khontyo spoke about traditional healers and herbalists where he briefly touched on their similarities and how they consult patients of most rural communities. He also spoke specifically about what awaits a Xhosa young boy as he approaches his early adulthood. ‘Ukoluka’ – is the cultural practice of becoming of age for a Xhosa young man, when a young man goes through traditional circumcision and is sent to the bush or the mountains for 3 – 4 weeks. This cultural practice indicates the transition into one’s adulthood and the leaving one’s childhood behind. Mr Khontyo’s lecture was nothing short of an eye-opening experience for all members of the society! 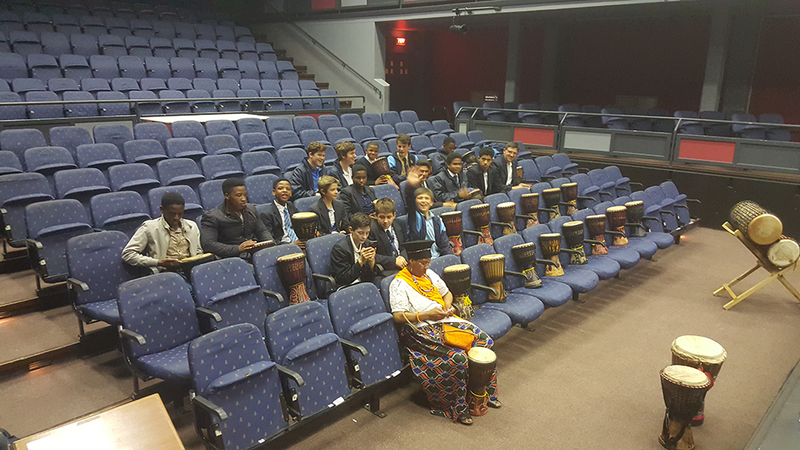 The society was also fortunate enough to host a cultural event at Bishops which took place in the Memorial theatre in September last year. 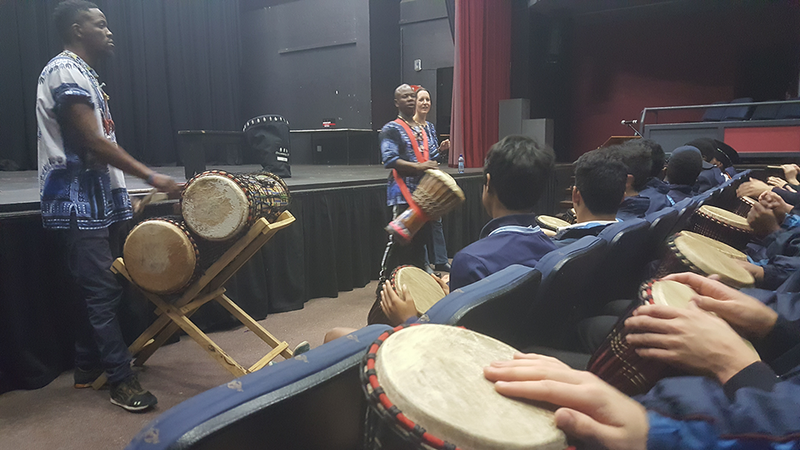 This event was facilitated by DrummingSA where society members learnt some vibrant African Djembe drumming rhythms, interlocking rhythms, drum solos, as well as some African dancing. 2017 has seen the African Relations society grow and excel in many facets of the society. The society has grown by at least 25 new members during the course of the past year. Commitment to the African Relations society never goes unnoticed. Ties for commitment shown to the society for more than 2 years have been awarded to Andrew Knight (Grade 12 – Kidd), Sihle Kahla (Grade 12 – White) and Alizwa Ngcwangu (Grade 12 – Ogilvie). More African Relation ties are to be awarded in the second quarter of 2018. Looking into 2018, the society sees great things for our country as well as Africa. The African Relations society is in the process of partnering up with Relate – non-profitable organization which shares the same Ubuntu values as African Relations, in a campaign to promote Ubuntu within our school community and South Africa as we see a divide amongst the nation. With this project, the society aims to bring everyone together, people of different races and cultural beliefs. African Relations projects’, also strives to uplift poverty stricken communities in the Western Cape specifically focusing on basic education of young children. African Relations meets fortnightly during Week A on Thursdays from 13h45 to 14h30 (open period)in the Resource Centre.